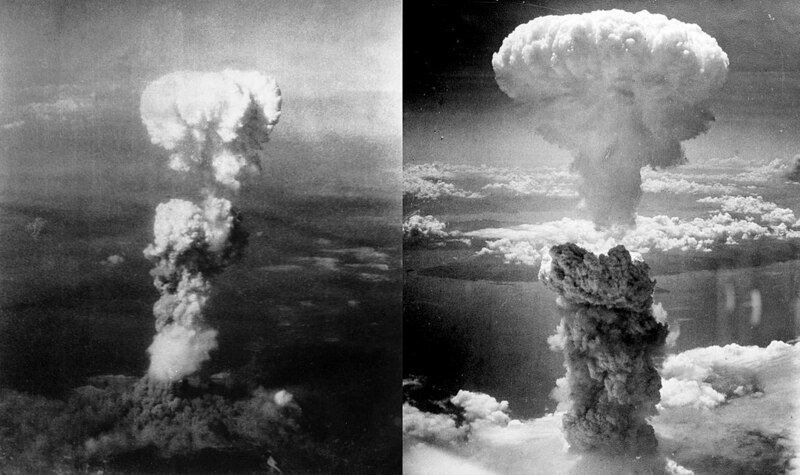 Was the Atomic Bombing of Hiroshima and Nagasaki Justifiable? The Catholic Church holds it better for the sun and moon to drop from heaven, for the earth to fail, and for all the many millions on it to die of starvation in extremest agony, as far as temporal affliction goes, than that one soul, I will not say, should be lost, but should commit one single venial sin, should tell one wilful untruth, or should steal one poor farthing without excuse. Newman did have a way with words, but behind the Victorian flourish, one might even say the hyperbole, of his language, there is a deep and abiding truth to which not only each Catholic is bound, but every human conscience: One may not do evil that good may come of it. With regard to intrinsically evil acts, and in reference to contraceptive practices whereby the conjugal act is intentionally rendered infertile, Pope Paul VI teaches: “Though it is true that sometimes it is lawful to tolerate a lesser moral evil in order to avoid a greater evil or in order to promote a greater good, it is never lawful, even for the gravest reasons, to do evil that good may come of it (cf. Rom 3:8)–in other words, to intend directly something which of its very nature contradicts the moral order, and which must therefore be judged unworthy of man, even though the intention is to protect or promote the welfare of an individual, of a family or of society in general” (paragraph 80, emphasis added). We must clarify our terms here, adopting a distinction made by Saint Thomas (himself developing Saint Augustine), and put into a modern context by Pope Saint John Paul II (cf., his 1984 Apostolic Letter Salvifici Doloris): There are various kinds of ‘evils’ in the world, all of which are in some way or another a privation of a good. That is, there is something missing that should be there. All of these ‘evils’ may be grouped into two basic sorts: There are what we may call physical evils, the destruction or privation in the material or psychological sphere, and spiritual or moral evils, which is evil in a will, when men (or angels) deliberately deviate or turn themselves away from God, their final end, their summum bonum, and hence to some degree corrupt themselves. The modern world in the main does not grasp this distinction, for many do not believe in a spiritual entity termed a ‘soul’, with a ‘will’, to say nothing of ‘freedom of the will’. Nor do they believe much in conscience, or, if they do, that such a conscience is bound by the moral law, semper et ubique, always and everywhere. Our culture is by and large limited to the narrow and confining horizons of this temporal existence. Hence all evil becomes ‘physical’ or ‘temporal’ evil, and we end up judging moral questions solely on the Lockean basis of how much (physical and temporal) good will be attained, or how much evil avoided. For what does it profit a man, if he gain the whole world (or, we may add, win a world war), but suffer the loss of his own soul? It is not as though moral evil is more ‘evil’ than physical evil, on some kind of spectrum. Rather, as Newman implies, they are entirely different kinds of evils (although often overlapping, for moral evil usually entails some physical evil). Hence, as Christ makes clear, there is no proportion between moral and physical evil, and the principle of double-effect does not apply. There is no amount of harm and suffering that can justify the deliberate commission of even one sin, one intrinsic evil. To argue such is the falsity of proportionalism (or nuanced as consquentialism), often used in debates over abortion, euthanasia and contraception. So the question before us is whether the atomic bombings were, by their very nature, intrinsically evil. If they were not, and involved only physical evils, then Deacon Russell’s argument stands or falls upon the proportionate results of the destruction, as must be calculated within war, and self-defense in general, with which calculation we may agree or disagree (keeping in mind that an act can still be morally wrong, even if not intrinsically evil, like eating too much food, or, here, one might argue, inflicting disproportionate harm upon a legitimate enemy). This is the true principle of double-effect, inflicting or tolerating some physical evil for the sake of attaining a greater good, or avoiding a greater evil. the absolute inviolability of innocent human life is a moral truth clearly taught by Sacred Scripture, constantly upheld in the Church’s Tradition and consistently proposed by her Magisterium. This consistent teaching is the evident result of that “supernatural sense of the faith” which, inspired and sustained by the Holy Spirit, safeguards the People of God from error when “it shows universal agreement in matters of faith and morals“. Here is the rub: The detonation of the atomic bombs over the two Japanese cities, along with the firebombing of Tokyo and Dresden, not only involved the destruction of military complexes and the wounding and death of enemy combatants, but also of women and children, to say nothing of the other (male) non-combatants. What exacerbates this, as far as I know, was that the bombings were timed for maximum effect, when these civilians would have been out and about, so the blast would inflict as many human casualties as possible, along with the lingering effects of radiation poisoning, in the immediate victims and their descendants (were they guilty?). The haphazard distribution of windblown and soggy leaflets warning of the bombing cannot provide justification. Cities were bombed on a regular basis in the war, but no one could have imagined the lethal capacity of ‘the Bomb’. Even its primary inventor, Robert Oppenheimer, when he witnessed the first test detonation in the desert of New Mexico, thought in his awe, quoting the Bhagavad Gita: “I am become Death, the Destroyer of Worlds“. Deacon Russell’s rather surprisingly argues that ‘everyone was a combatant’ in Japan, and hence none were ‘innocent’, and all therefore were legitimate targets of war. Alas. The notion of ‘total war’, wherein every single person in the bellicose nation becomes a ‘soldier’ and legitimate target for death, has led to the barbarities we have witnessed all too often in history. It is not just up to the Japanese (nor any aggressor) to determine who is or is not a combatant. We must use our own reason and common sense, for we all will be judged on our own conscience. Clearly, most of the Japanese and German ‘targets’ would have been ‘innocent’ in any human, moral sense of the term, at the very least the children, babies, toddlers, the women, some of whom were likely with unborn children, the elderly, the sick and the infirm. Thousands of these were incinerated or blasted with radiation causing a slow, lingering death. And one cannot justify the bombings on the basis of ‘collateral damage’. If one knows there are innocents in the blast zone who will most certainly be killed, to say nothing of deliberately targeting them, then one cannot drop the bomb (as is still the case in drone warfare, host to its own set of moral issues). This is one of the primary reasons the Allies could not destroy the concentration camps. In response to Deacon Russell’s defense that “(t)he Church has never declared that the decision to drop the two bombs was itself unjust, immoral, or indefensible”, I would respond that the Church does not generally condemn specific, concrete moral actions, even grave ones, preferring the modus docendi, the way of teaching universal moral principles, which we should apply using our conscience, as the concrete circumstances of each situation require. One will look in vain for a direct and explicit mention of the ‘Pill’ in the 1968 encyclical Humanae Vitae, even though the invention of the chemical contraceptive a decade earlier was one of the primary motivations for its writing. And this condemnation is repeated, word for word, in the Catechism (#2314). What more is required? A direct mention of Tokyo and Hiroshima? Although many things in war (and in affairs of State) are up to the ‘legitimate authority’, some things are not, including such things as the ‘destruction of entire cities along with their population’, and other direct violations of the moral law. Not all things are fair in love and war. If I have not made my point clear enough, the atomic bombings were not only morally evil, but perhaps the most heinous deliberate one-time act in the history of humanity. To clarify further, bring the question down to a more human and imaginable scale. Say the enemy held ten of your children hostage, and you, ten of his. He threatens to incinerate them, and you threaten the same. He proceeds to destroy, say, three children. Now, what does, or should, a Christian do, whether under direct orders or not? Would we deliberately kill even one child, one baby, to stop a war? Yet we would destroy tens of thousands in an instantaneous fireball? Contrary to Deacon Russell’s claims, I do not ‘excoriate’ him, but I do excoriate the conclusions he draws. I am happy to read that his father, Sergeant Russell, along with other American soldiers, survived the carnage of the war intact, to continue the Russell lineage. But even this great and noble good cannot be justified by the deliberate killing even of one innocent person, and I would say that about my own father, or any one of my ancestors. This question has modern relevance with even greater weapons of mass destruction, as they are so euphemistically called, more powerful than the original atomic bomb by orders of magnitude, the extent of whose damage is scarcely calculable. If North Korea, in some apocalyptic scenario, manages to nuke Guam (unlikely, but let us suppose), would America be justified in incinerating Pyonyang, filled with women and children who share not the guilt of their not-so ‘benign’ and all-too benighted leader? The short answer is, of course, no. We live not in the realm of an ‘eye for an eye, and a tooth for a tooth’, but in the context of the moral law and, more than that, the New Covenant. ‘Mutually assured destruction’ is, again, an intrinsic evil, for the deliberate killing of innocent life is always and everywhere a condemnable act, regardless of the calculations of war and deterrence. It seems the atrocities of this century’s world wars, and the second one in particular, have inured us to the value of human life, even seeping subtly into the minds of those of us who profess its inviolable worth, and we must resist this influence by keeping our minds fixed on truth, which means on Christ, His Church, His revelation. Before people accuse me of being a peacenik, be aware that I am all for just war, in the context of which full and proportionate harm may and should be inflicted upon a hostile and aggressive enemy, and I agree there are any number of historical and moral complexities involved: The dubious notion of unconditional surrender, many of the barbaric practices of the Japanese, their refusal to give in, their intransigent honor code, the vague notion of ‘combatants’, and so on. First, who is our enemy? And, second, how and in what way do we defend ourselves and others against them? What we must always do, as we respond to these questions, in thought and in action, is ensure that we keep our own souls and consciences free from sin. We don’t want to become like our enemy in the very act of trying to defeat him. John Paul II at the very beginning of his meditation in Evangelium Vitae made it clear that life on earth is not an “ultimate” but a “penultimate” reality and that all the crimes against life do more harm to those who practise them than to those who suffer from the injury (cf., E.V, #3), a rather surprising claim, given the horror of many such ‘crimes’. We can only answer the questions surrounding life and death, especially in extreme cases, in the context of our eternal destiny, for there is no sense defending our buildings, our bodies, even our very nations, if we lose what matters most, our souls and life with God in beatitude.